An exclusive chronometer caliber with essential stop function, annual calendar and big date in the double window makes the Patravi ChronoDate Annual the perfect timepiece for all months of the year. An exclusive chronometer caliber with essential stop function, annual calendar and big date in the double window makes the Patravi ChronoDate Annual the perfect timepiece for all months of the year. 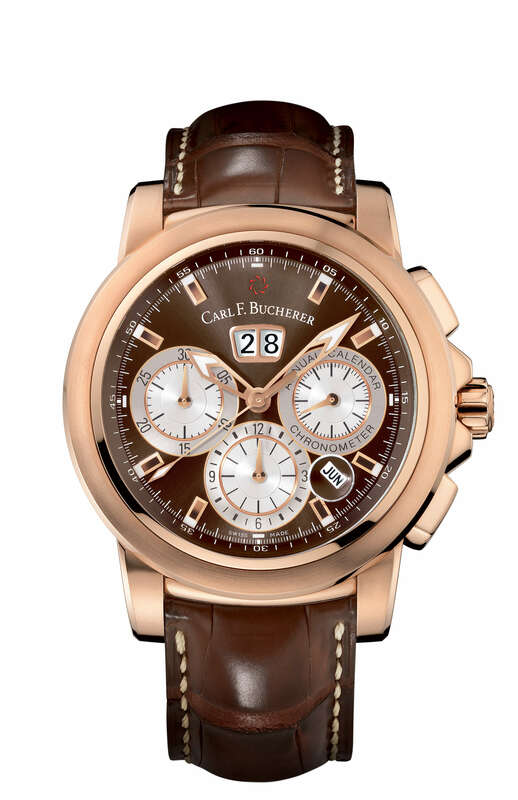 The fact that its calendar will need a little assistance at the end of February has been deliberately taken into account by Carl F. Bucherer. With all other months, thanks to a complex mechanism involving numerous wheels, levers and rockers, the timepiece switches precisely to the 1st of the month, irrespective of whether the previous month has 30 or 31 days. A remarkably elegant satinized case made of high quality rose gold protects the mechanical jewel.